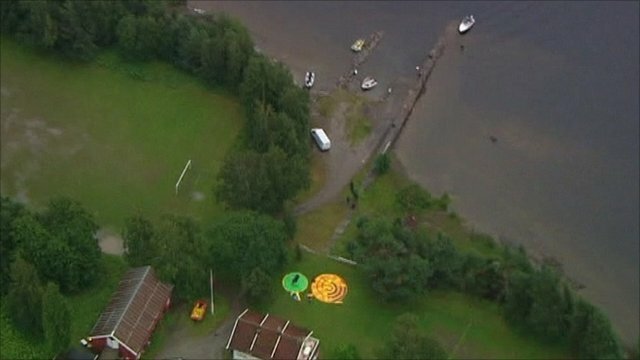 'I played dead to stay alive' Jump to media player A witness to Friday's shooting spree at a Norwegian island youth camp, which claimed at least 85 lives, has said he played dead to try and escape the gunman as he carried out the massacre. Norway PM: This is a national tragedy Jump to media player Norway's Prime Minister, Jens Stoltenberg, has described Friday's shooting spree at an island youth and bomb attack in Oslo, as a "nightmare" and a "national tragedy". 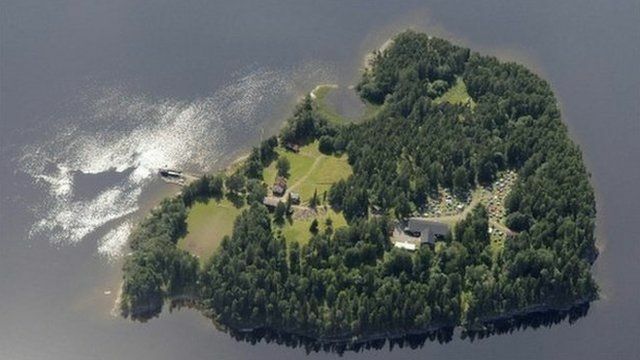 Eyewitness: 'I saw two people shot dead' Jump to media player Emma, 16, a youth leader at a camp on Utoeya island, has described how she escaped the gunman who went on a rampage, killing at least 10 people, as Norway is hit by twin terror attacks. Norway shooting: Rescue operation Jump to media player Oslo police spokesman Anders Frydenberg describes the emergency operation on Norway's Utoeya island, where a gunman opened fire indiscriminately on Friday, killing at least 80 people. A witness to Friday's shooting spree at a Norwegian island youth camp, which claimed at least 85 lives, has said he played dead to try and escape the gunman as he carried out the massacre. 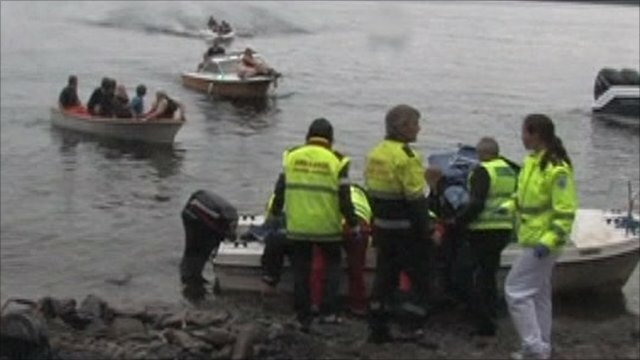 Adrian Pracon was on tiny Utoeya island, outside Oslo, when the attack began just hours after a bombing rocked the capital. The Oslo bombing killed at least seven. 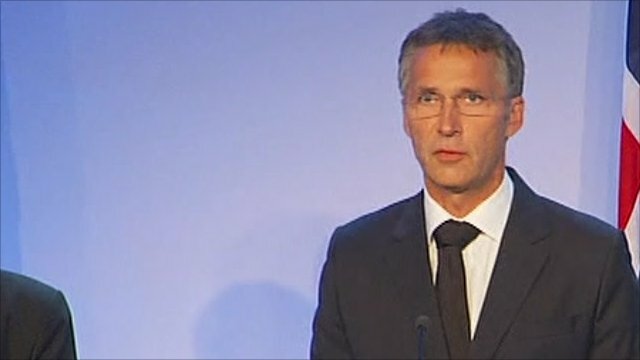 Prime Minister Jens Stoltenberg said the attacks were "like a nightmare".